There comes a time late in the NBA season when teams, even those headed to the playoffs, like to get looks at the younger players who generally occupy the end of the bench. Whether it’s to give starters a lighter-than-usual load or to get a glimpse at game speed of how the unproven players conduct themselves, the few minutes are valuable learning opportunities for coaches and managers. 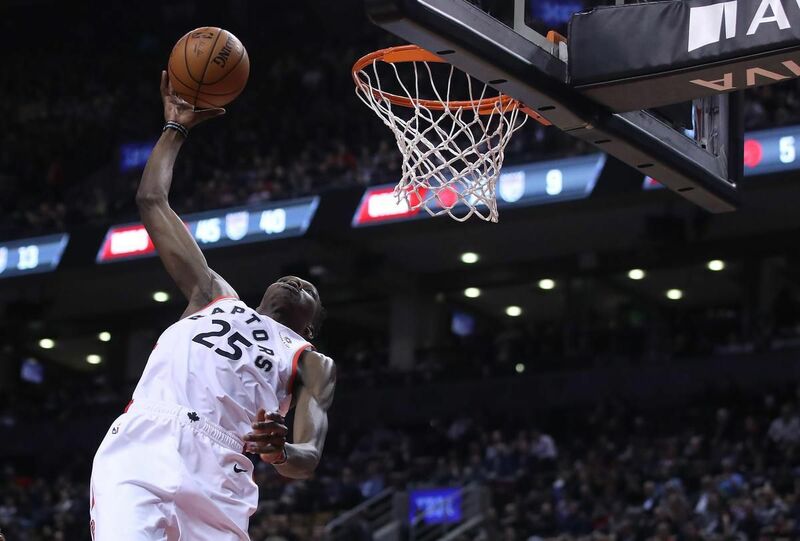 The Raptors, closing in on a post-season series that begins in a little more than a week, are handing some responsibilities to kids like Malcolm Miller, Chris Boucher and Jordan Loyd most nights. In their case, it’s more to confirm what they know rather than discover the players’ talents for the first time. For that, they can thank the existence of the G League Raptors 905 and the geographical location of the minor-league affiliate. Those players — and a handful of others in previous seasons — have been around the team, they’ve taken part in Raptors practices, and they’ve played home games about half an hour down the road. The familiarity is far ahead of what most teams have. Whether Boucher, Miller or Loyd become regular NBAers remains to be seen. Each has skills that can be developed, and each has flaws that need to be overcome. But the benefits of having G League players nearby is the chemistry they develop with veterans and the chance the coaches have to work with them when they aren’t with the minor-league club. Boucher, the G League’s most valuable player and defensive player of the year this season, and Miller, who has had to overcome serious injuries in each of the last two seasons, are intriguing prospects who will benefit from however much playing time they get with the Raptors over the last week of the regular season. Loyd has some promise as well, despite being behind a trio of veteran guards. Going into Wednesday’s game in Brooklyn, Boucher and Miller had each played in three consecutive games and Loyd in two. And they are sure to get time in the final three games that begin Friday in Charlotte.